ALBUQUERQUE, N.M. -- New Mexico forensic investigators announced Thursday that a highly decomposed body found at a desert compound in New Mexico has been identified as a missing Georgia boy whose father is accused of kidnapping him and performing purification rituals on the severely disabled child. Authorities believe the boy, Abdul-ghani Wahhaj, died in February when he was 3 and buried in an underground tunnel at a makeshift compound in northern New Mexico. He had been reported missing in December from Jonesboro, Georgia, near Atlanta. The New Mexico Office of the Medical Examiner said in a statement that it could not identify the cause of Abdul-ghani's death because his body was found in advanced stage of decomposition. "Our thoughts and prayers go to Wahhaj's family," the University of New Mexico's Health Sciences Center said. "We certainly understand the heartbreak this news will cause and want to stress our commitment to investigating this death to serve the living." 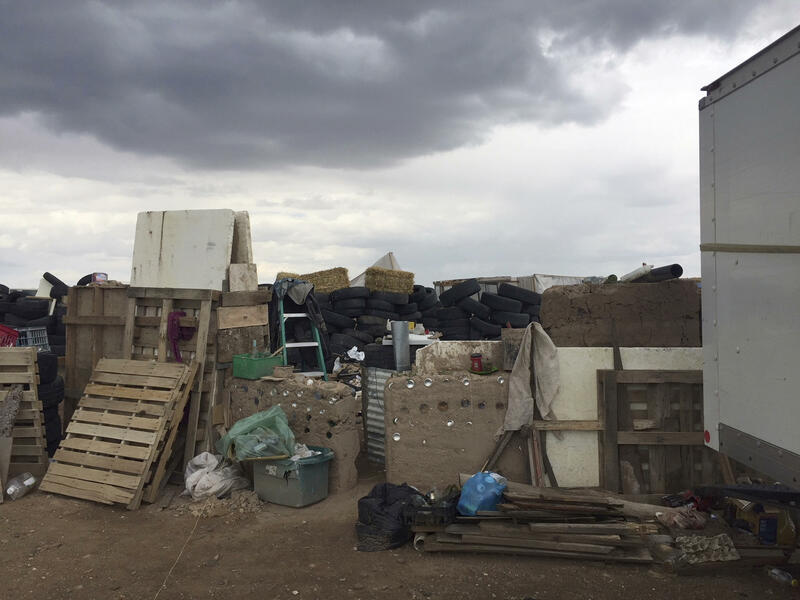 The father, Siraj Ibn Wahhaj, was among five people arrested on suspicion of child abuse at compound near the Colorado state line, where authorities say 11 hungry children were found living in filth. Prosecutors seeking to keep Sarij Ibn Wahhaj behind bars said in court Monday that he had been training some children at the compound to carry out attacks on an anti-government mission that might include schools. State District Court Judge Sarah Backus on Monday said the evidence provided by prosecutors was troubling but did not indicate any clear threat to public safety from the defendants, who have no criminal records. She cleared the way for the release of four defendants on terms of house arrest that would include ankle monitors, while Siraj Ibn Wahhaj would remain jailed because of the arrest warrant. CBS Albuquerque affiliate KRQE-TV reports court staff members told the station they received more than 200 calls and emails Tuesday about the judge's decision paving the way for the release of some of the defendants. New Mexico Gov. Susana Martinez, a former district attorney, said Tuesday she "strongly disagreed" with the judge's decision and renewed her criticism of rules for pre-trial detention that are determined in part by the state Supreme Court. "You have a person who is training kids to shoot up schools, they have a compound that is like a third-world country," State Republican Party Chairman Ryan Cangiolosi said. "There's a child's body on the compound -- I believe that allowing them to be released is absurd. One defendant, originally from Haiti, has been transferred to the custody of federal immigration authorities. None had been released as of Thursday amid safety concerns, in part stemming from threats of violence against Judge Backus.